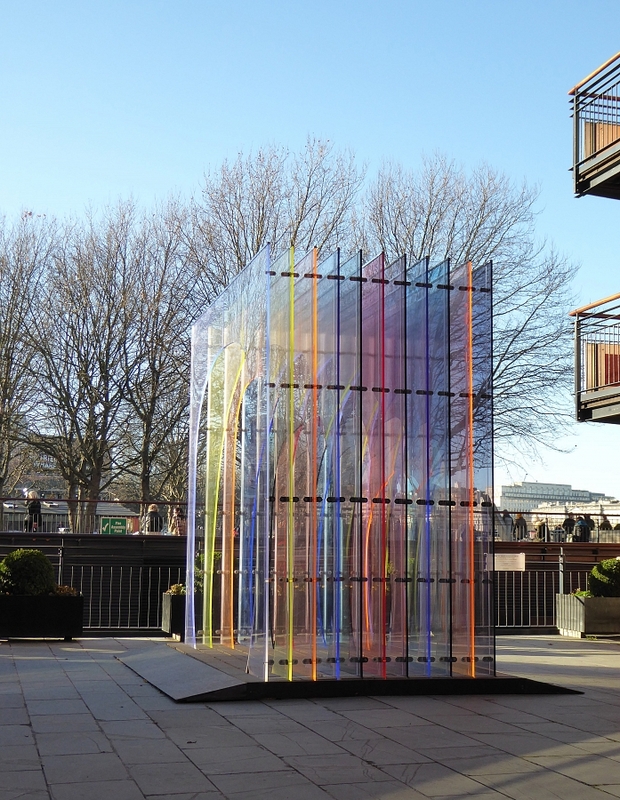 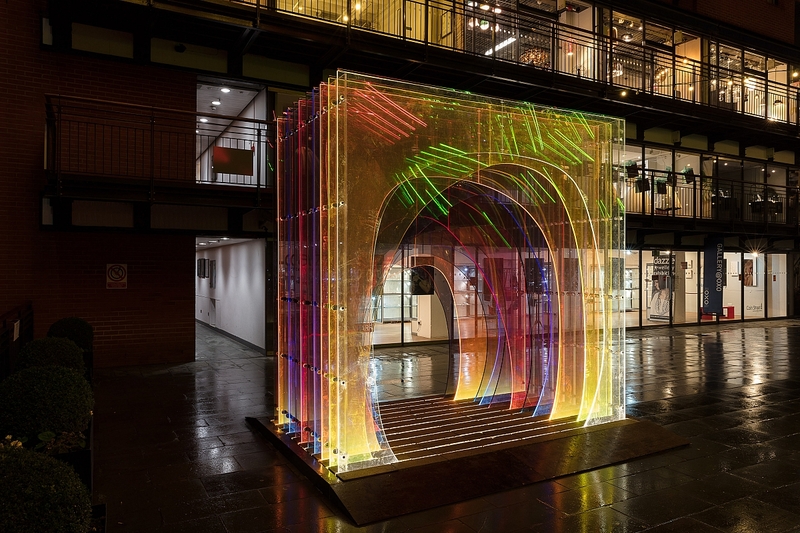 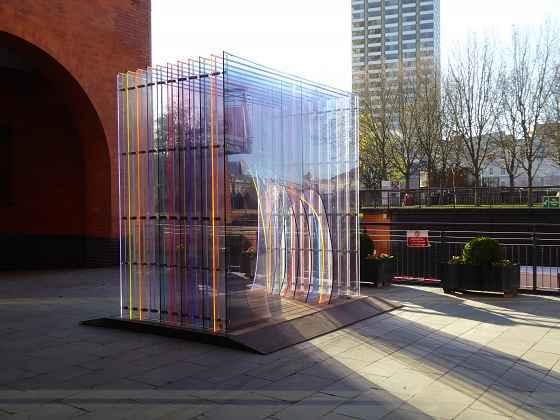 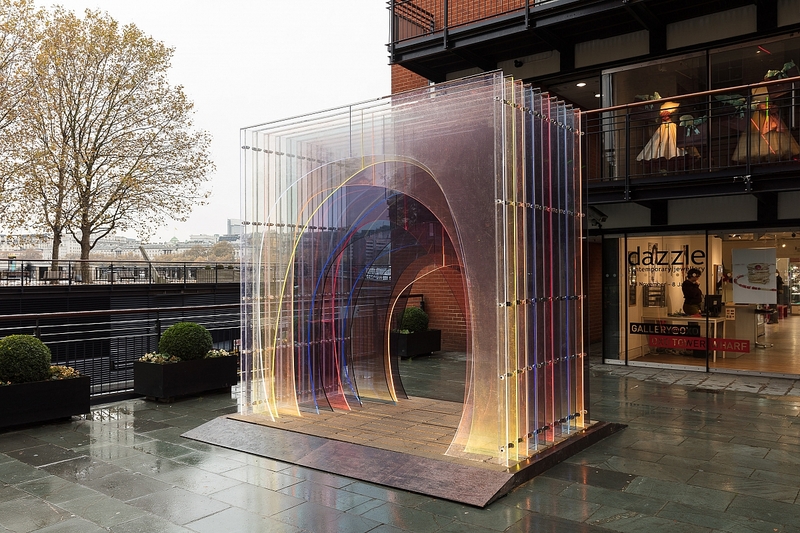 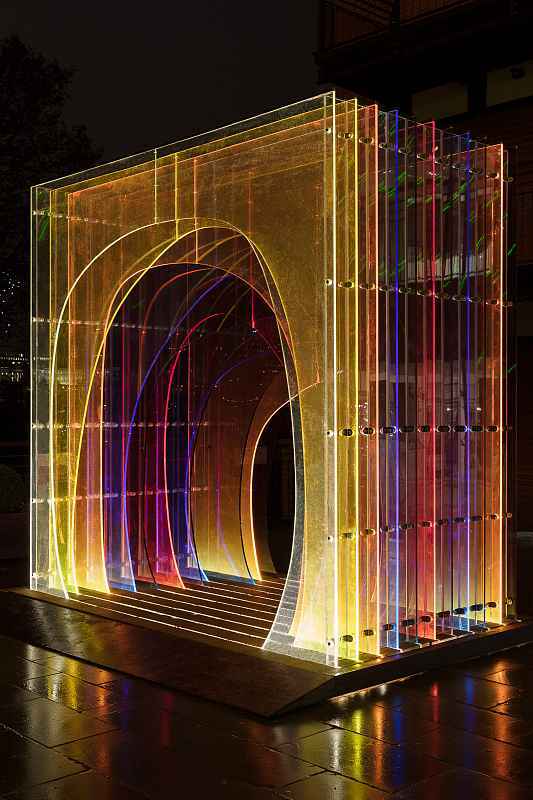 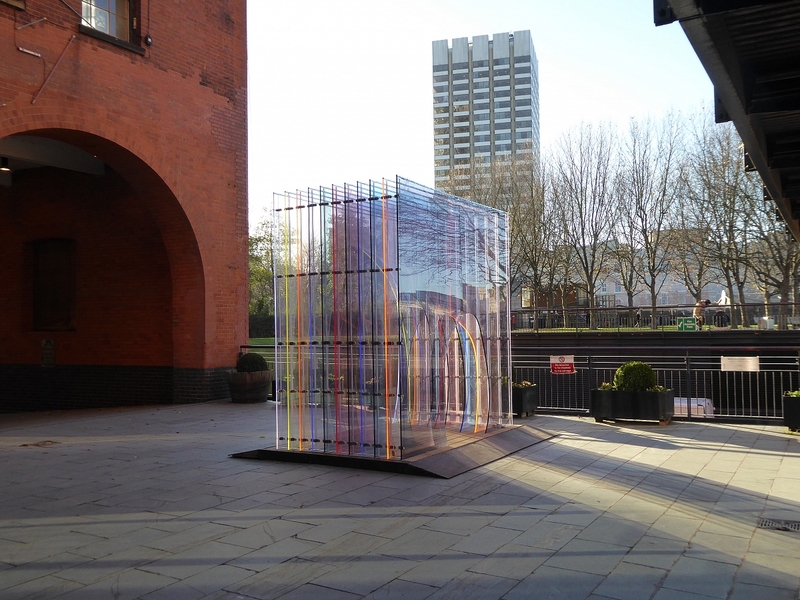 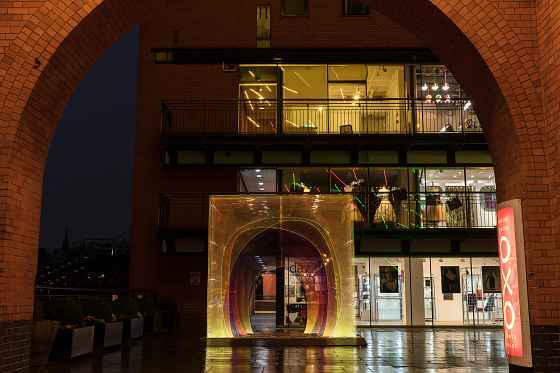 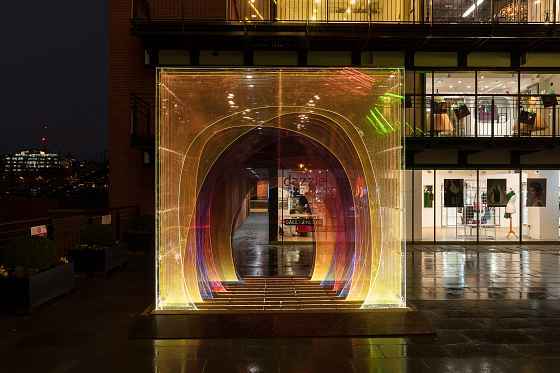 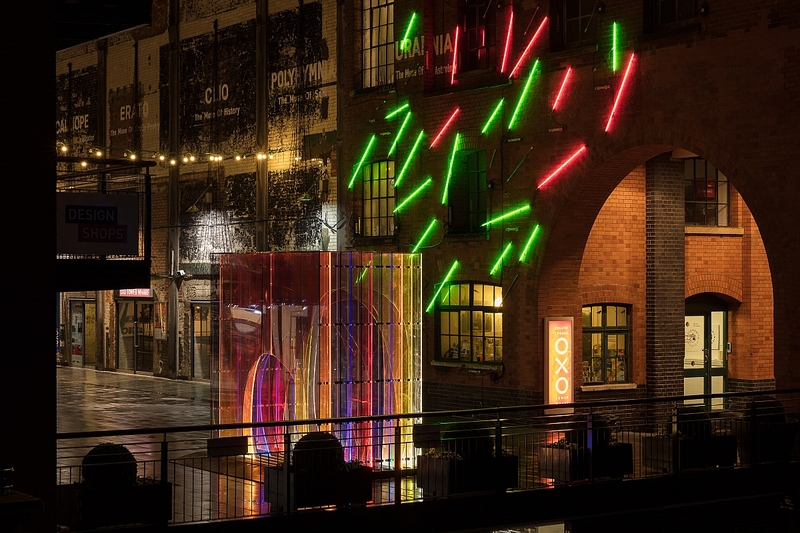 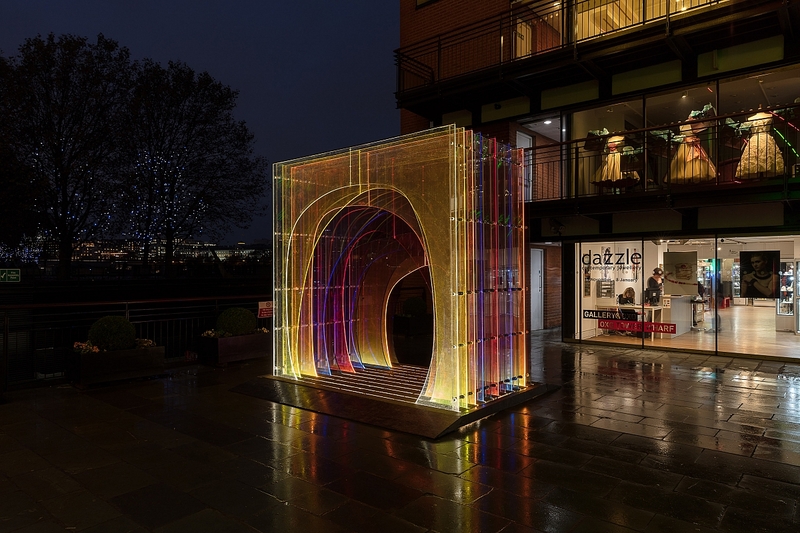 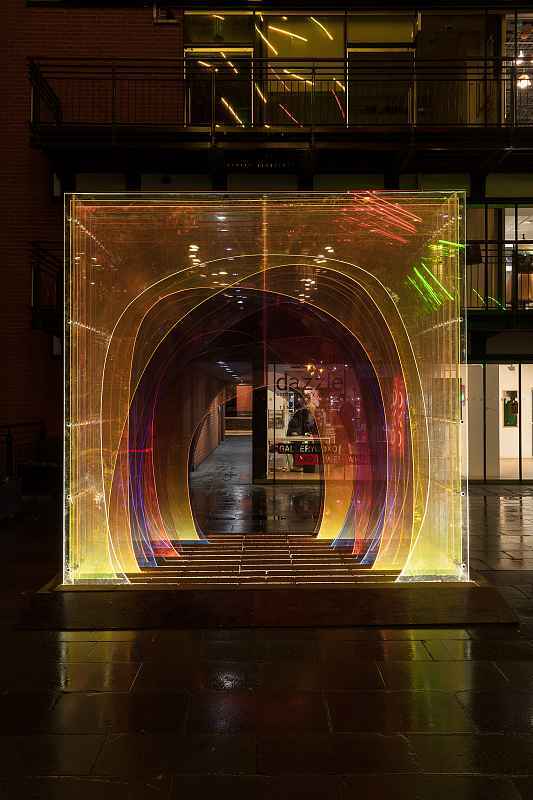 After its success at the V&A during the London Design Festival last year, Mise-en-abyme installation was recycled to create a new sculpture that will be exhibited at Oxo Tower Wharf until 20th of February 2017 with the support of Coin Street Community Builders and lit by InnermostCabled LED. Our work is driven by a strong awareness of the cycle of life of products and materials and as designers we have a big responsibility for what we create. We don’t see things as ephemera or to be thrown away after a short life so we try as much as possible while creating interesting and appealing work to consider the life of objects and their impact. 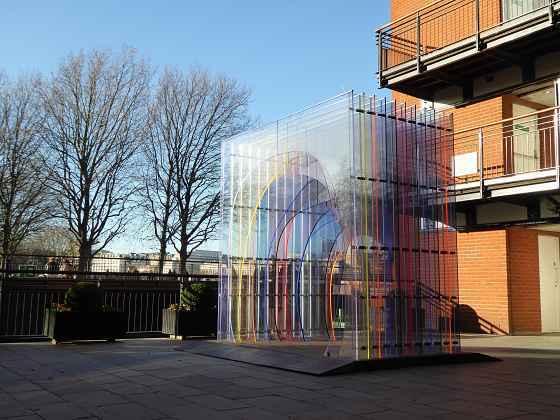 “There is a special beauty behind creating new work from something existing. 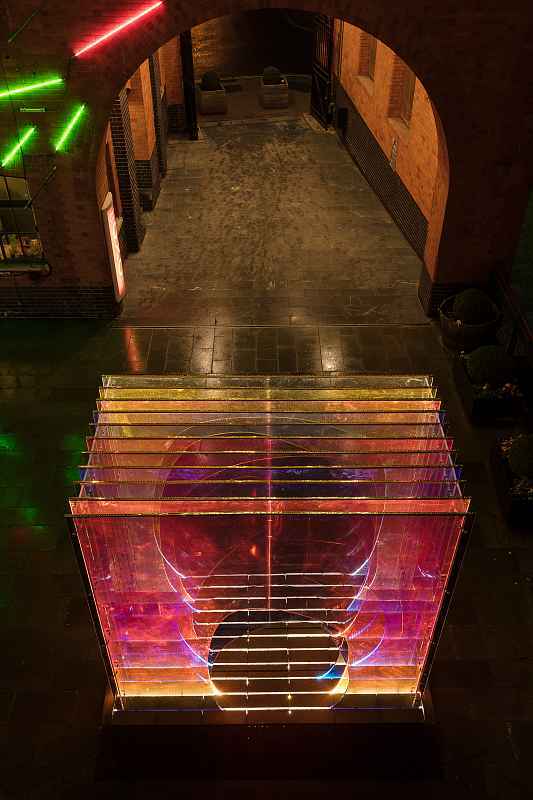 Mise-en-abyme was designed specifically for the bridge over the medieval rooms at the V&A Museum but always with the intent of having a second life after the festival. 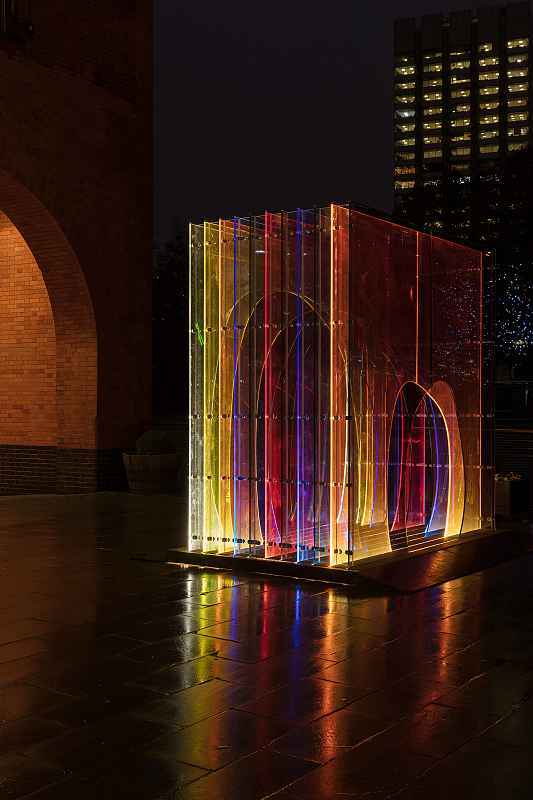 We don’t want to recreate what we have seen and enjoyed already but create a new sculpture, that will be perceived and experienced as a totally new piece. We look forward to seeing it in natural light and in an exposed environment for a longer period of time”.